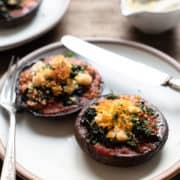 Stuffed Portobello Mushrooms with Garlicky Kale are a simple, delicious vegan meal for weeknights! Filled with kale, marinara sauce, meatless crumbles and vegan cheese, this could easily be made non-vegan with ground beef or turkey and mozzarella sauce. Either way, it’s a great low-carb dinner! 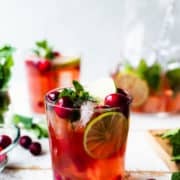 You may have noticed that I’ve been sharing a lot of vegan recipes lately. And you may remember the time I went vegan for a day and made Lentil Stuffed Summer Squash. Well, I guess you can say that lately I’ve been cooking and eating vegan in solidarity. We have a new kind of eater in the family. 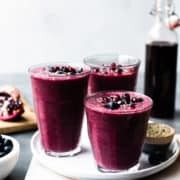 My son is an omnivore, my daughter pescetarian, and now, my husband has decided to give going vegan a try again, primarily for cholesterol reasons. 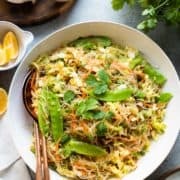 To say that I have truly embraced a flexitarian diet is an understatement, now that I’m juggling the cravings and needs of so many eaters in my house. So, where do I fall in this spectrum? Well, I’ve always joked that I was a part-time vegetarian, so it’s really not too different. 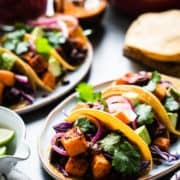 To make things easier, and also because I sincerely want to find delicious vegan-friendly meals my hubby can enjoy, I’ve been expanding my vegan repertoire, which is to say, I’m learning along the way. 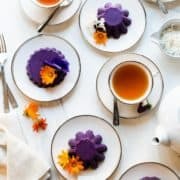 It’s actually a fun challenge, vegan-izing old favorites, and coming up with new recipes the whole family can love. 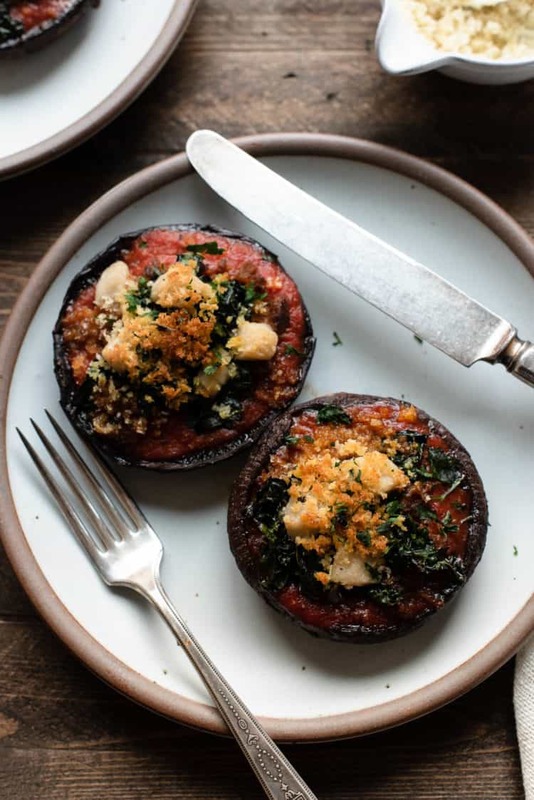 This recipe for Stuffed Portobello Mushrooms is vegan, but to be honest, you would never know it. 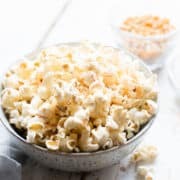 In place of ground meat and cheese, I use meatless crumbles and a new delicious vegan mozzarella cheese — what I’ve learned so far is that using these vegan substitutes really helps to bridge the gap when you have meat lovers — but using them in moderation is key. My husband declared it one of the best things he’s had, vegan or not, and even my mushroom-hating son ate most of his (which I appreciated). 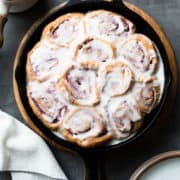 So where does this leave us in terms of the recipes I share with you? Well, you can still expect a good mix of recipes. Because I still have a special place in my heart for cheese and yogurt, seafood and meat. And dessert! 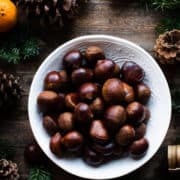 Just as I try to make everyone in my family happy, I will offer ways to veganize (or non-veganize) a dish whenever possible. Cooking for different eaters is a challenge, but my goal is to find ways to make it easier for all of us. Tell me, do you have lots of eaters in your family? 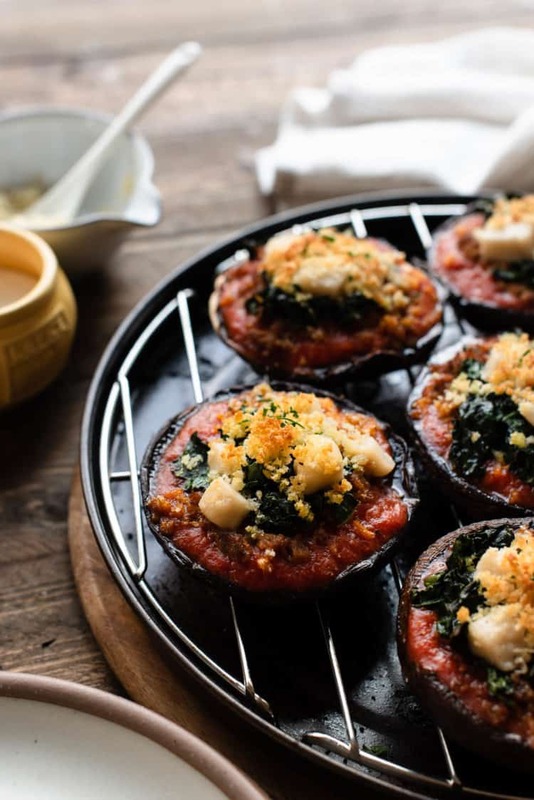 Like this recipe for Stuffed Portobello Mushrooms with Garlicky Kale? Here are more stuffed veggie recipes to try! 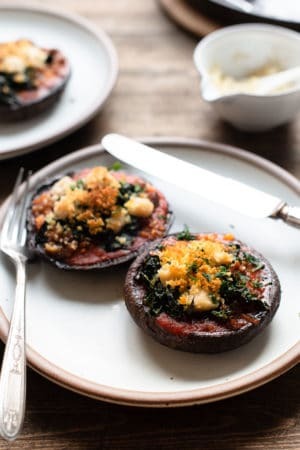 Stuffed Portobello Mushrooms with Garlicky Kale are a simple, delicious vegan meal for weeknights! Filled with kale, marinara sauce, and meatless crumbles and vegan cheese, this could easily be made non-vegan with ground beef or turkey and mozzarella sauce. Either way, it’s a great low-carb dinner! Preheat the oven to 425°F with a rack placed in the center of the oven. On a baking tray lined with a rack (optional), place the mushrooms cap side down. Brush with 1-2 tablespoons olive oil and season lightly with salt and pepper. Roast the mushrooms for about 15-20 minutes or until the mushrooms have softened and released their juices. While the mushrooms roast, prepare the garlicky kale. Heat about 1 tablespoon of olive oil in a skillet over medium heat. Add the kale and garlic, and season lightly with salt and pepper. Cook until the kale has wilted and the garlic is fragrant, about 3 minutes. Set aside. Remove the mushrooms from the oven and use tongs to discard any liquid released by the mushrooms. Return to the baking sheet. 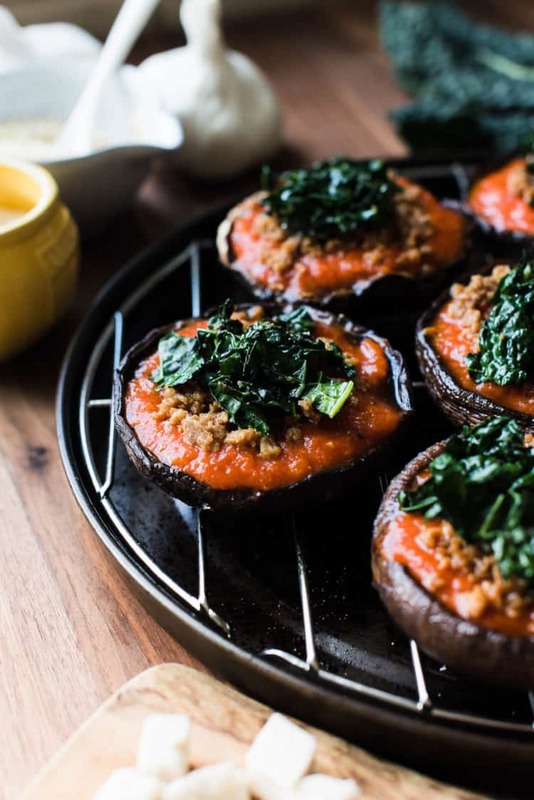 Fill each mushroom with marinara sauce, then sprinkle with meatless crumbles, kale and vegan mozzarella. Season with pepper. Mix breadcrumbs with remaining tablespoon of olive oil and sprinkle on top of each mushroom. Bake the mushrooms for another 15-20 minutes, or until the centers of the mushrooms are tender. 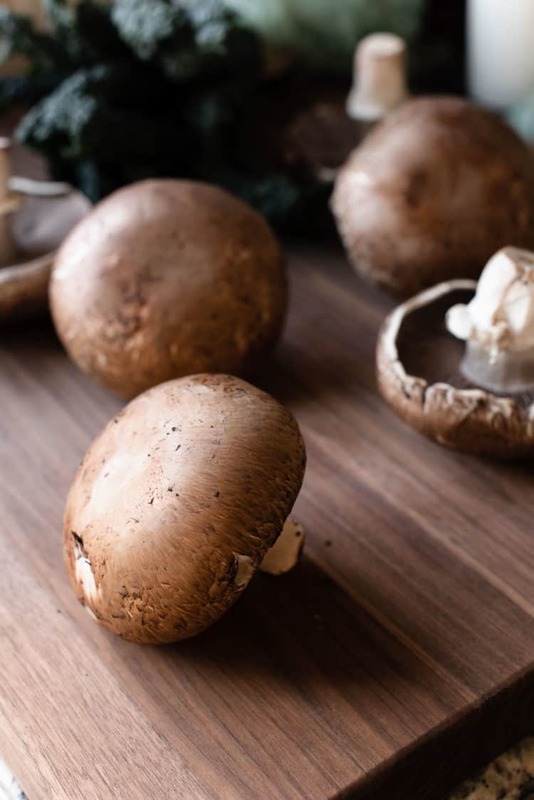 Thicker, meatier mushrooms may take more time to cook; lightly tent the mushrooms with aluminum foil if you find that the breadcrumbs are golden brown before the mushrooms are fully tender. 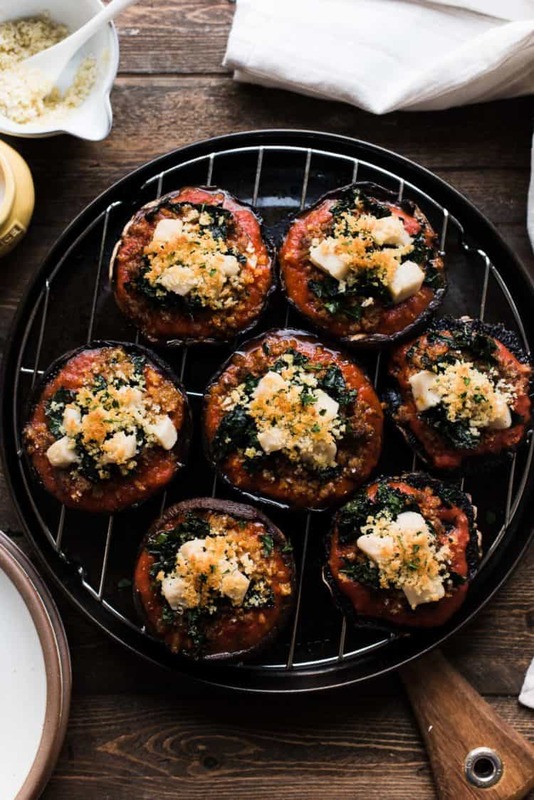 If serving as a main course, this serves 4 people, with each serving equaling two portobello mushrooms. 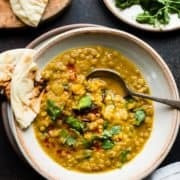 This dish can easily be made non-vegan! Simply substitute cooked ground beef or turkey and your favorite mozzarella cheese. 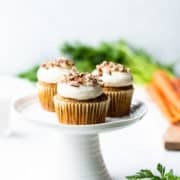 You may already have your favorite vegan products, but in case you were wondering, in this recipe I used Lightlife Smart Ground Original Meatless Crumbles and Miyoko's Vegan Mozzarella. A a flexitarian diet has to be a really challenge for the cook. 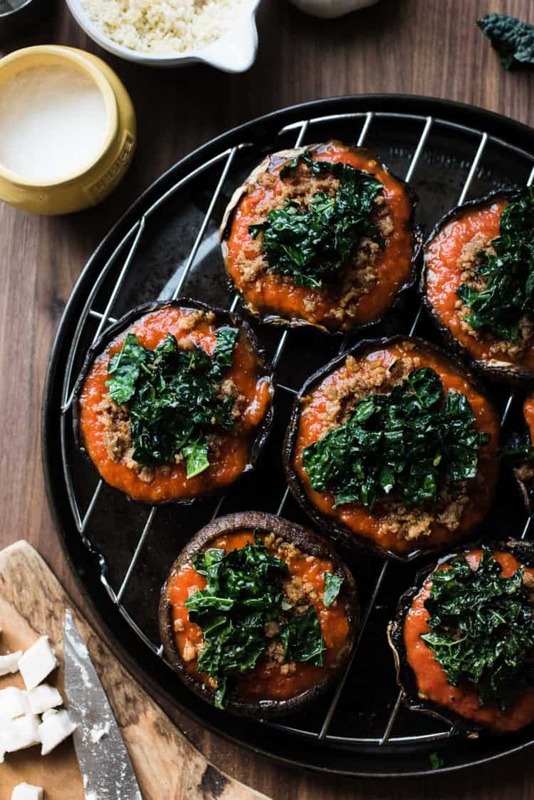 Your stuffed mushrooms look very good. 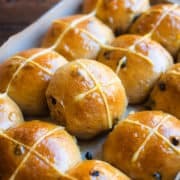 While I will make them non vegan, I’m sure I would like the vegan version. Oh goodness, Liren, I do admire your flexibility and skill in developing recipes to satisfy everyone’s dietary needs at the table. 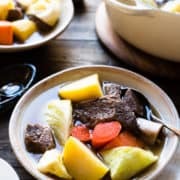 When I went vegetarian, my husband was forced to come along for the ride, unless he wanted to fix it himself (and that wasn’t going to happen). Now, 18 years later, he’s glad he made the change, although he still flexes when we go out. These mushrooms look SO good… and flavor packed! Meatless crumbles are a delicious way to transition and satisfy! Wow, 18 years of being vegetarian – that’s wonderful! I feel like I’m the “flexer” in the family – I joke that I’m the exceptional vegan because I like to make exceptions, haha. Finding recipes to suit everyone’s needs is definitely a challenge, but we’re all learning together!